Lashes have become a permanent item in my makeup bag, after not ever wearing them properly until this year they've become something I pick up regularly. 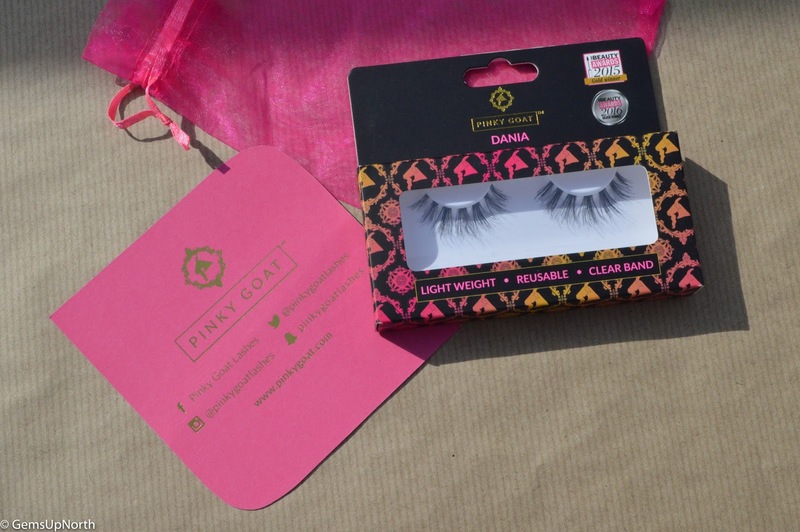 I was recently sent this pair of *DANIA lashes to sample from Pinky Goat, I've worn the lashes a few times now and here are my thoughts. Pinky Goat was founded by Maha Morley-Kirk and Elle Hardy who both have years of experience in the fashion and beauty industry. They developed the Pinky Goat brand with their experience and passion for beauty and they continue to create new collections for us makeup lovers and professionals. PG won the Pure Beauty Awards for Best Beauty Brand in 2015 and was the silver winner for Best New Eye Product in 2016. 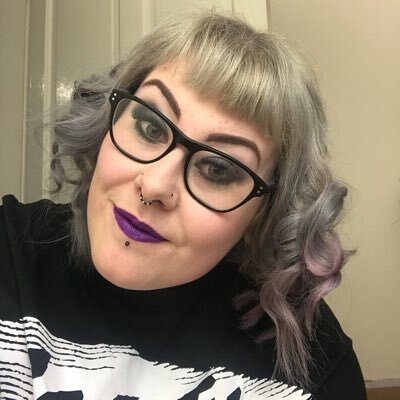 Each of the lashes and products are produced using quality materials and they make sure their products are sourced ethically from around the globe and are cruelty-free. 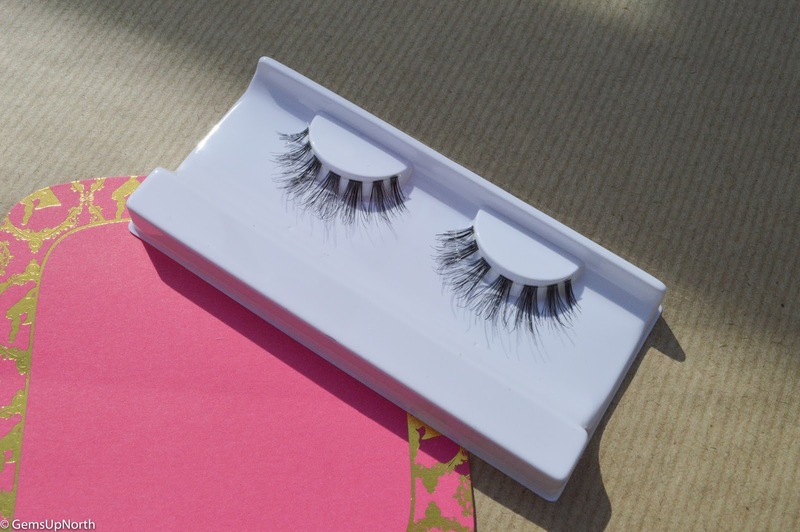 These lashes are exclusive to Superdrug in the UK and available via the Superdrug website and in stores. Each set of lashes comes in sleek black packaging with yellow/orange/pink shades over the PG logo with gold and pink text; I think it all looks very glamourous. 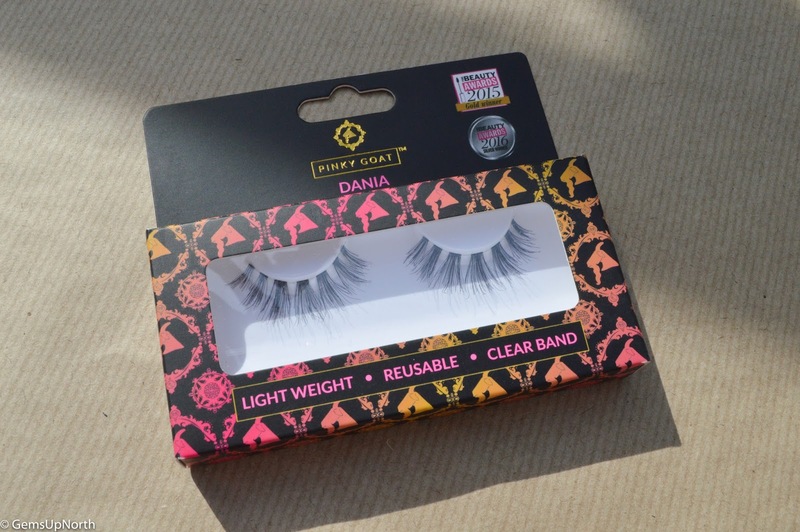 The DANIA lashes are made from human hair fibre and add volume, length and open up your eyes when worn. I found these lashes to be lightweight and comfortable once applied; they have a natural long lash look when on which isn't too intense but is enough to achieve a dramatic natural look. No mascara is needed with these lashes and the length of them is perfect for me. The lash band is flexible so will hug any lash line beautifully and the lash band is also clear so theres no bulky band to see. Applying lashes has become less of a chore for me, I purchased a small tweezer like tool which holds the lash in place for me whilst the glue dries on my lash line. On my first wear of these PG lashes, I measured them against my eyes and cut them to size before applying any glue. With a small amount of glue the lashes stayed put all day with no movement or loosing. Removal was easy too, pulling them gently from each side of the lash, there wasn't any tugging or discomfort. To keep the lashes in top condition, I removed any excess glue from the lash band then washed them before placing them back in the case to dry after every removal. I feel like I'm still a newbie to lashes but I am trying more and more styles and ranges lately, these Pinky Goat lashes have been one of the most comfortable set of lashes I've sampled yet, the clear band gave me a more natural look than some other lashes do and although the packaging stated up to 3 wears, I've had them on 5 times! I'll definitely be picking some more styles up from my local Superdrug! *PR Sample - all thoughts/opinions are my own, see my disclaimer for more information. These lashes look so lush my lovely! Pinky Goat sounds like such an amazing brand and I really love the story behind the company, it's so inspiring and I love that the award for Best Beauty Brand in 2015, that's amazing 💖🙆💕 It's so wonderful they turned their passion into something so awe-striking for all of us 💜 It's so brilliant all their products are cruelty free and ethically sourced too. Awww Sophie thanks so much for reading all my post and leaving me such a detailed comment, I love reading your lovely comments! Always puts a smile on my face!